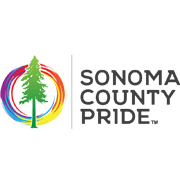 Sonoma County Pride is dedicated to enhancing the lives and well being of our Lesbian, Gay, Bisexual, Transgender, Queer, Intersex (LGBTQI) community and allies throughout Sonoma County. We promote equality for all through education and activism, while serving as a liaison with government, businesses and other organizations on behalf of our community. We recognize and celebrate the history, achievements and contributions of the LGBTQI community of Sonoma County. Our Mission: promote, educate and support the LGBTQI community.